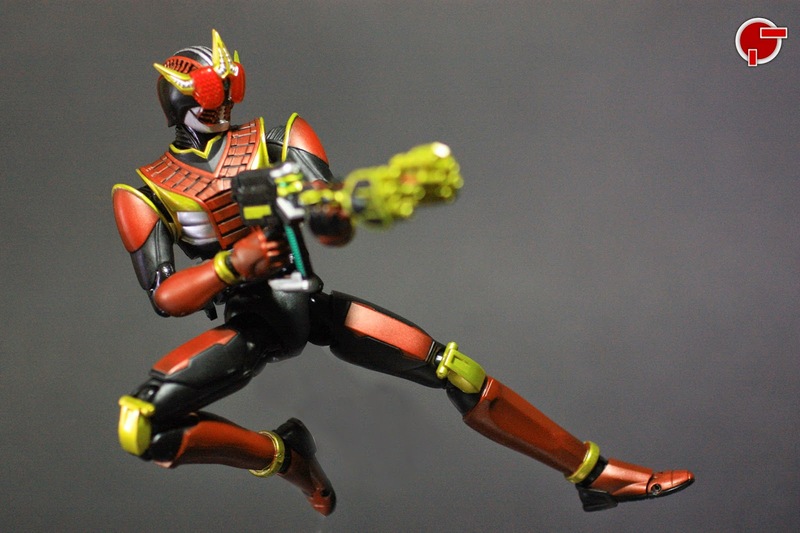 Kamen Rider Zeronos returns to the S.H. 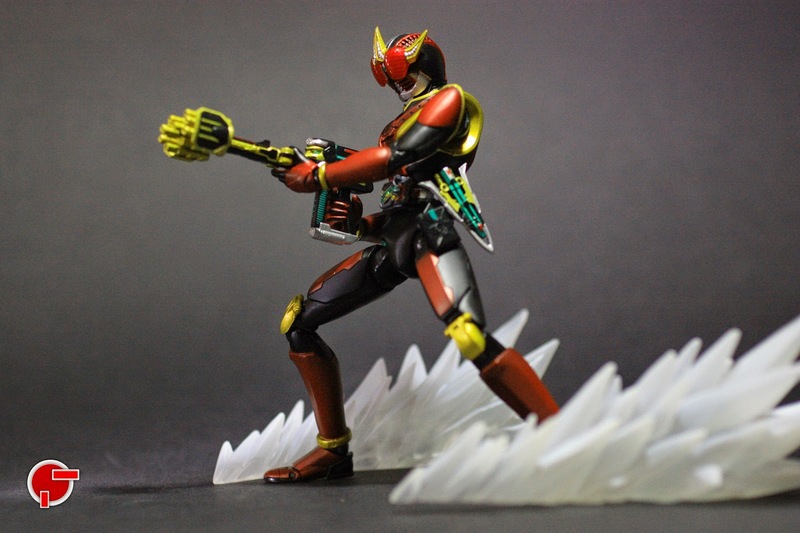 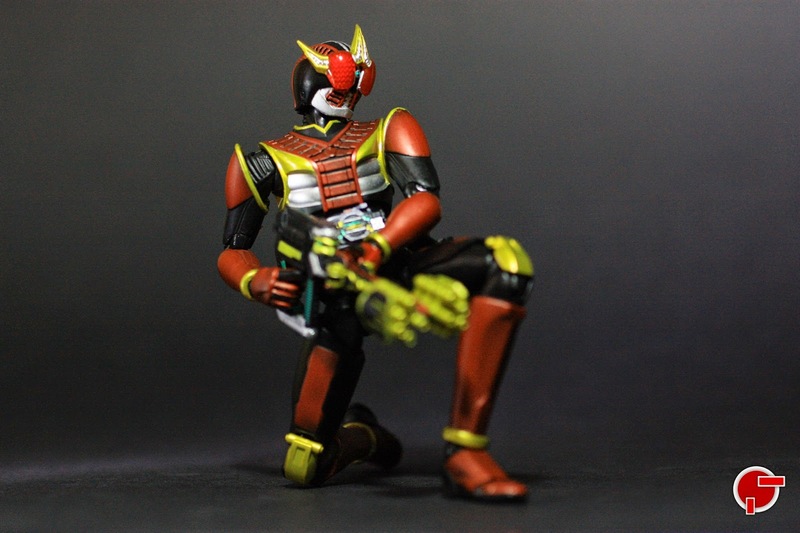 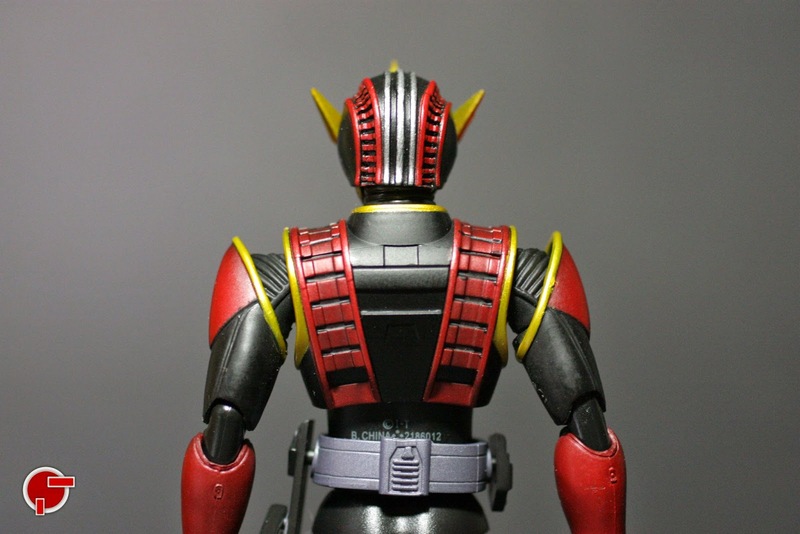 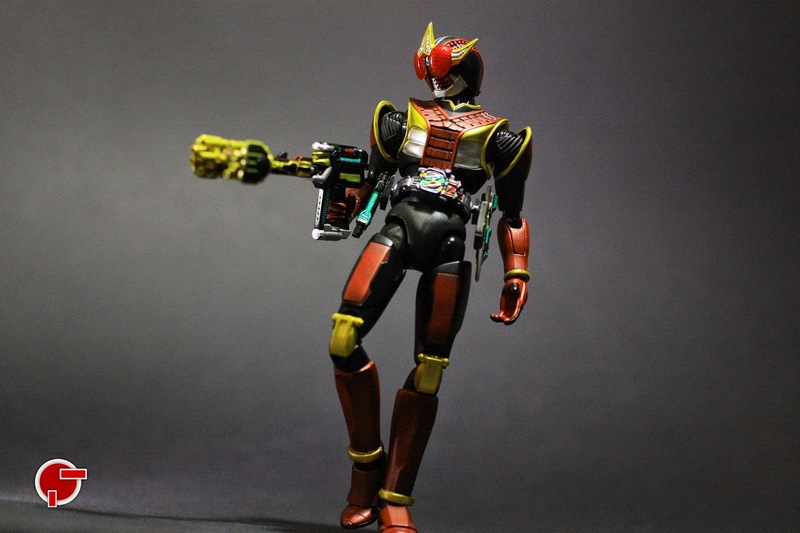 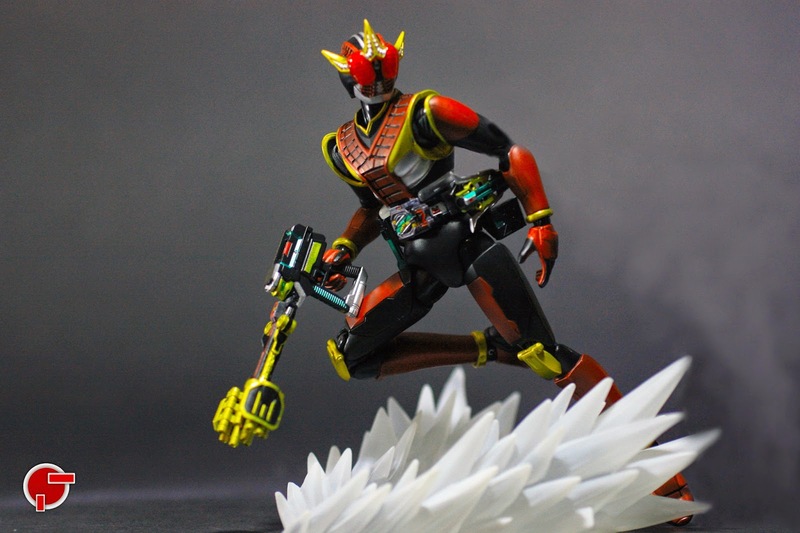 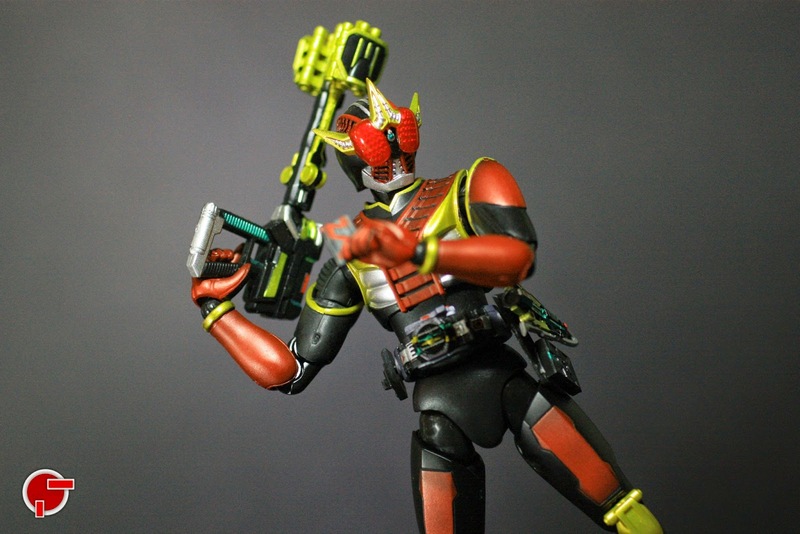 Figuarts line up with his other mode called the Zero Form. 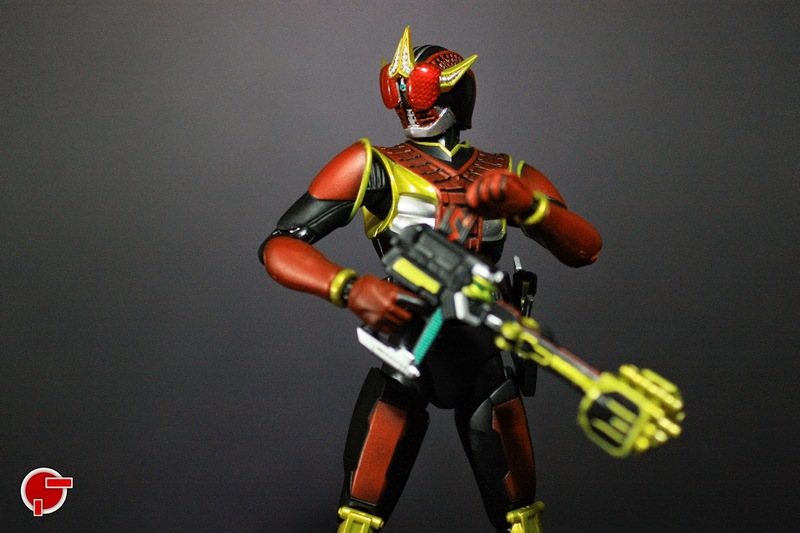 Though the figure uses the same mold and sculpt as Altair Form, changes include his a red color scheme and golden trimmings to replace some silver and green paint applications of Altair Form. 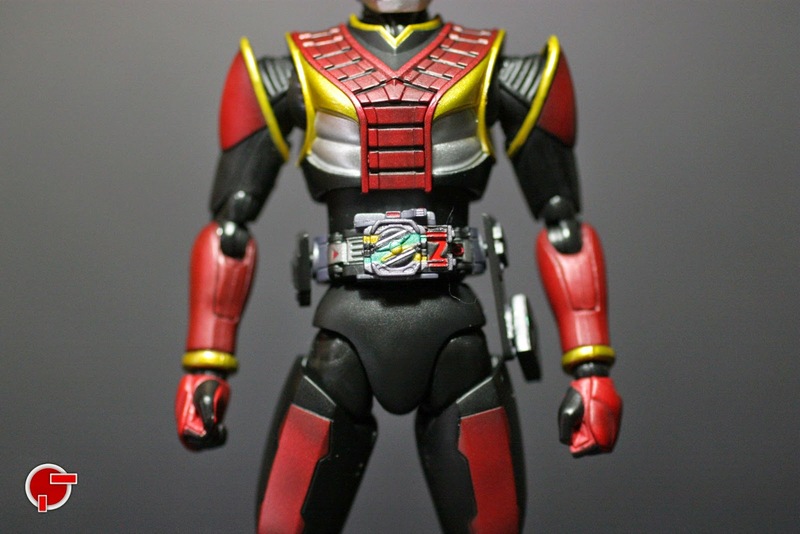 Also the belt has the Red Zeronos Card exposed on his transformation belt. 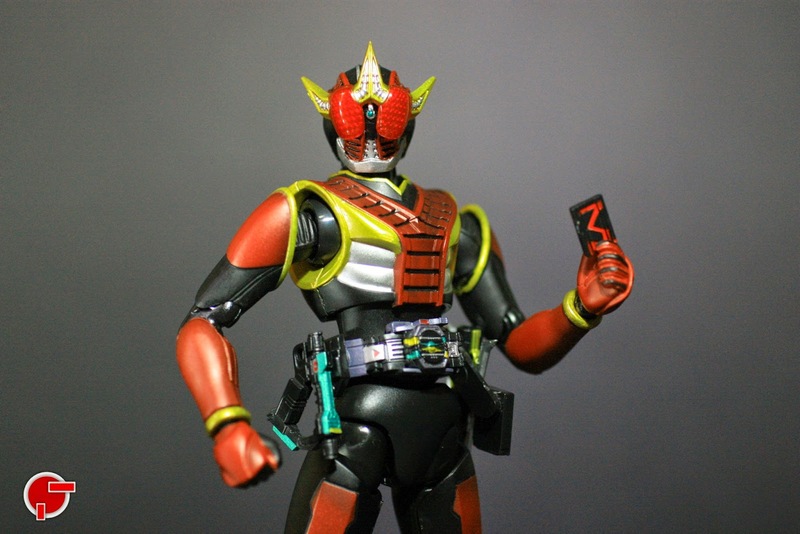 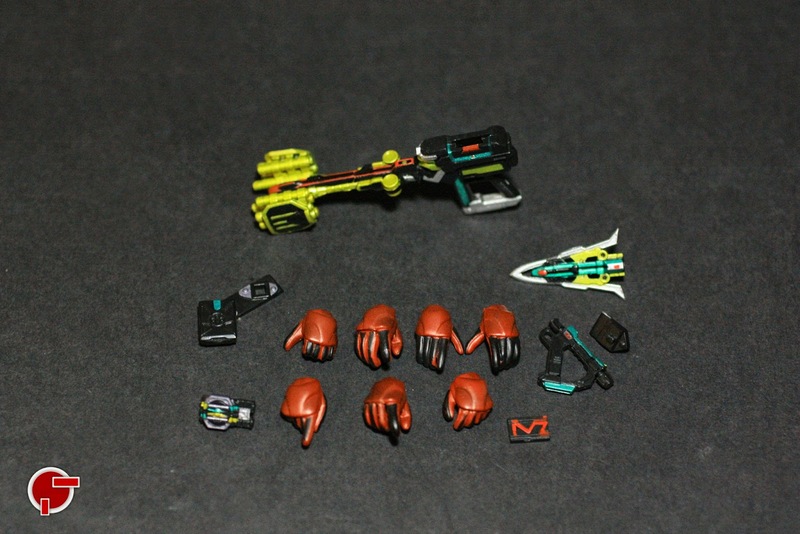 Zero form includes 7 extra hand replacements, the Zerogasher pieces with their alternative holsters, an extra Red Zeronos Card and the Denebick Buster. 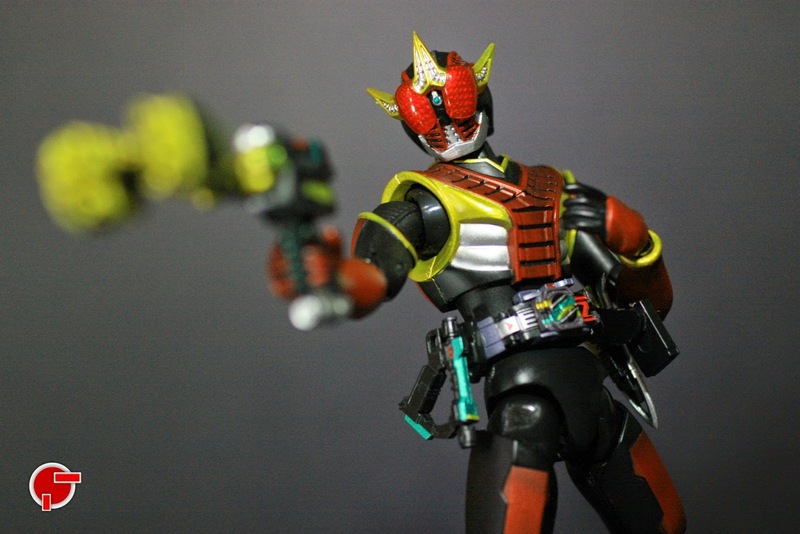 The Zerogasher pieces and extra holster work the same with Altair Form but try to feel the click, ensuring that these won’t fall off his belt. 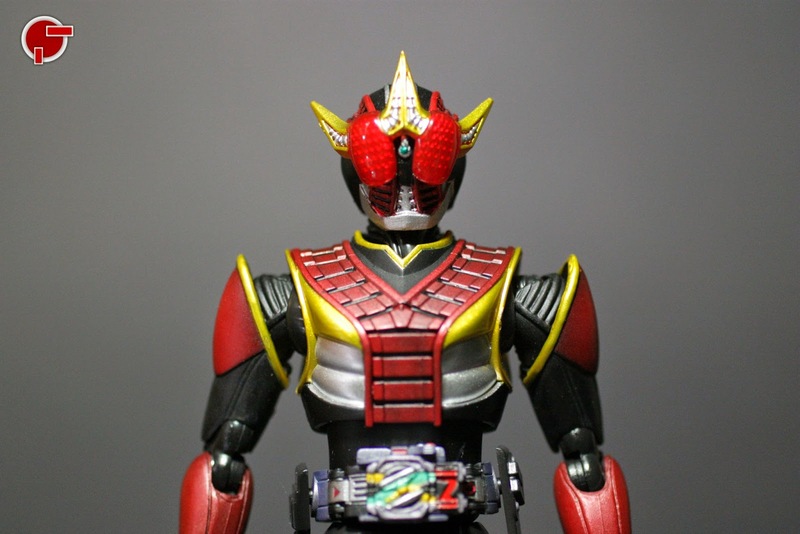 Another gimmick is that the Zeronos Card can be inserted just behind the head of the Denebick Buster. 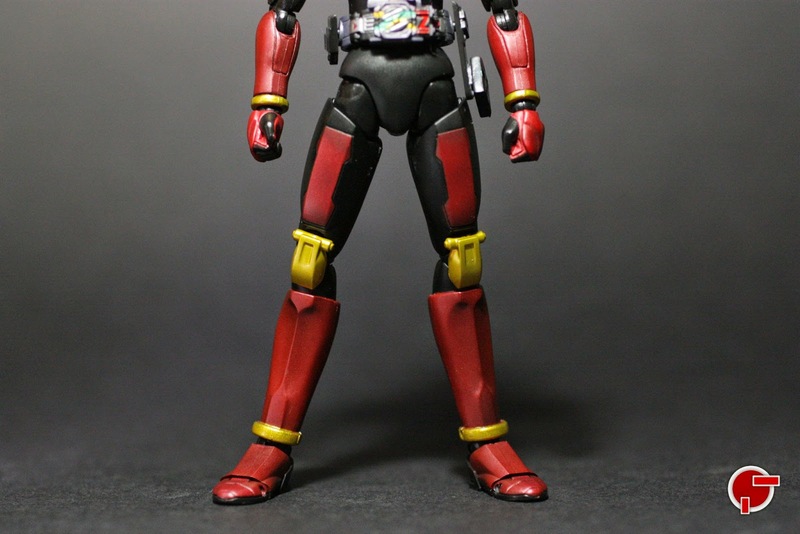 If you like how the main body works, then Zero form is also for you. 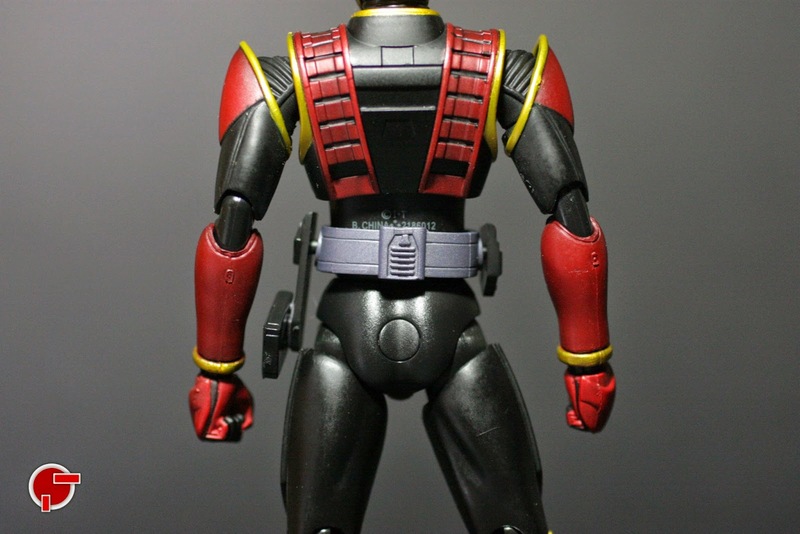 However the lack of an upper bicep swivel does limit the arm movement in a certain extent. 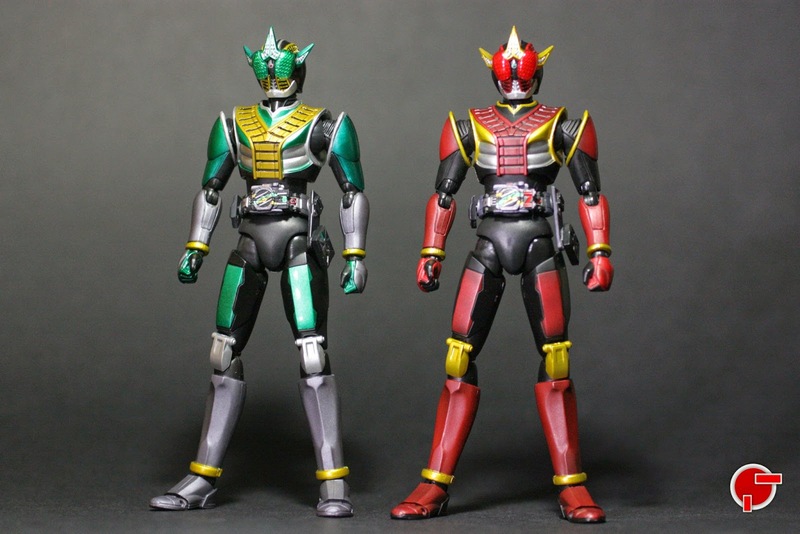 As a Tamashii Exclusive, you’ll get a smaller amount of accessories than of Altair Form but more expensive. 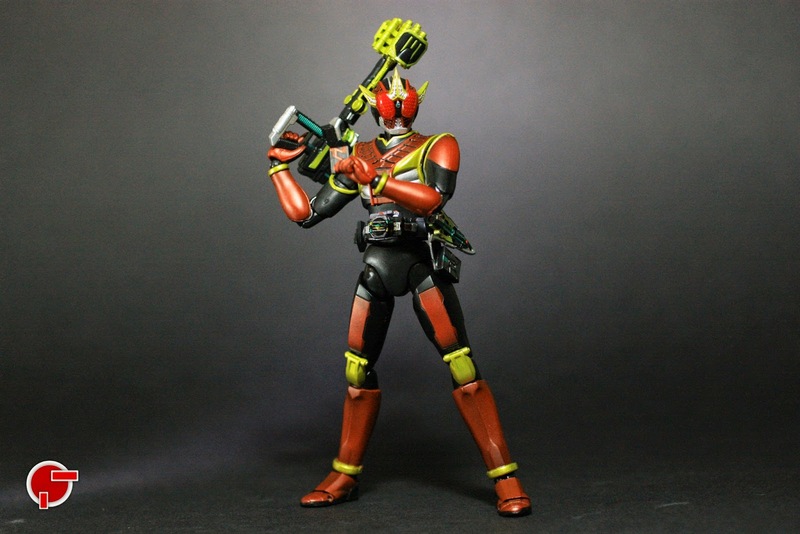 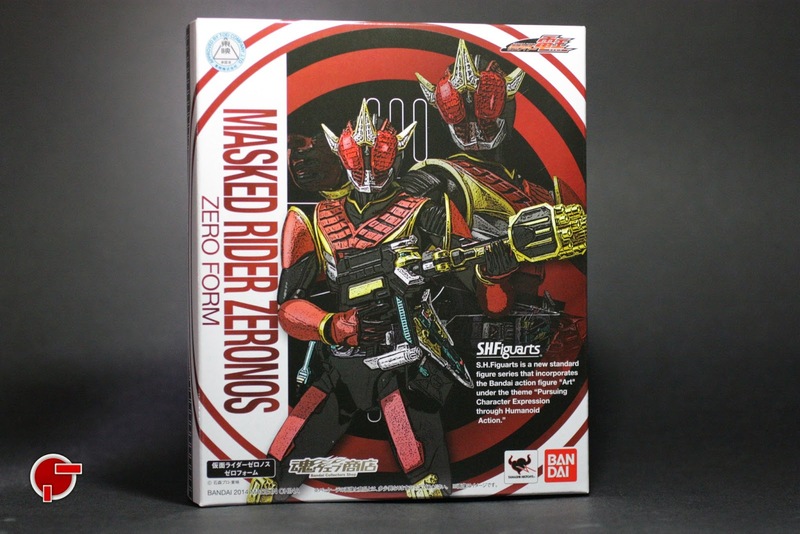 I can see that this will be a must have for Kamen Rider Den-O and Zeronos completists, but not much for the rest of the Kamen Rider Collectors.